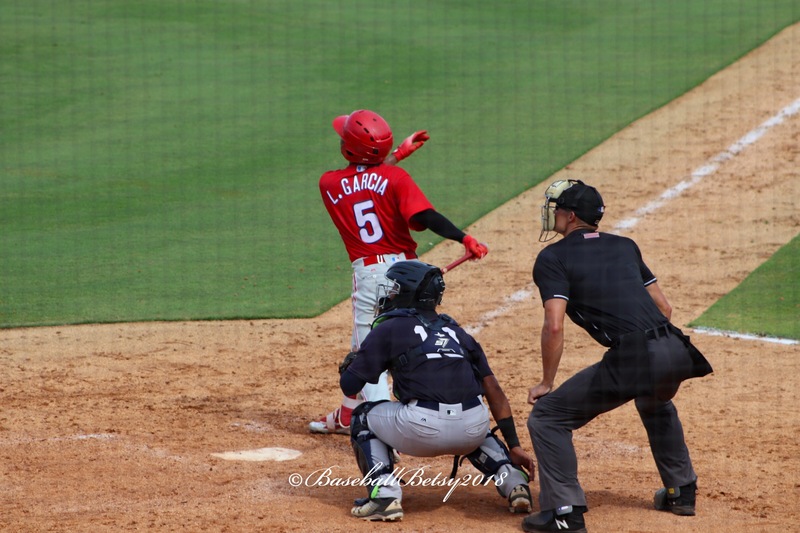 Luis Garcia just turned 18-years-old, but he plays like he is already major league ready. 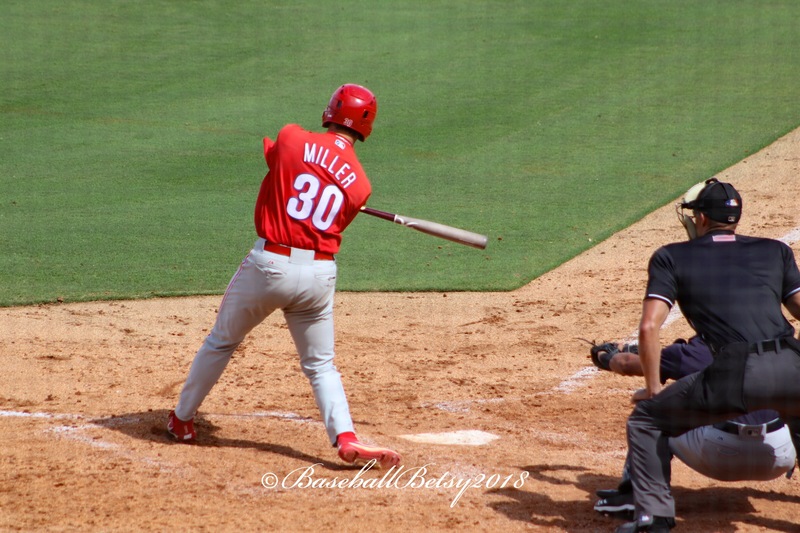 In Tuesday’s Phillies game with the Yankees Instructs, he made a play to his right playing second base that some major league second baseman could not make. He went to his right as far he could, fielded the ball with his back to first base, pivoted in one motion and made a strong throw to get the runner at first. Earlier he lined a base hit to center. Watch his hit HERE. He can do it all! Another guy who is doing it with his bat is first baseman Luke Miller. He lined two doubles down the left field line. Watch his second double HERE. He and Garcia had three of four hits the Phillies had in the 6-2 loss. Miller also showed a strong glove making a pick at first. Watch HERE. With the exception of allowing four runs in the ninth inning to break up a 2-2 game, the Phillies pitched well. 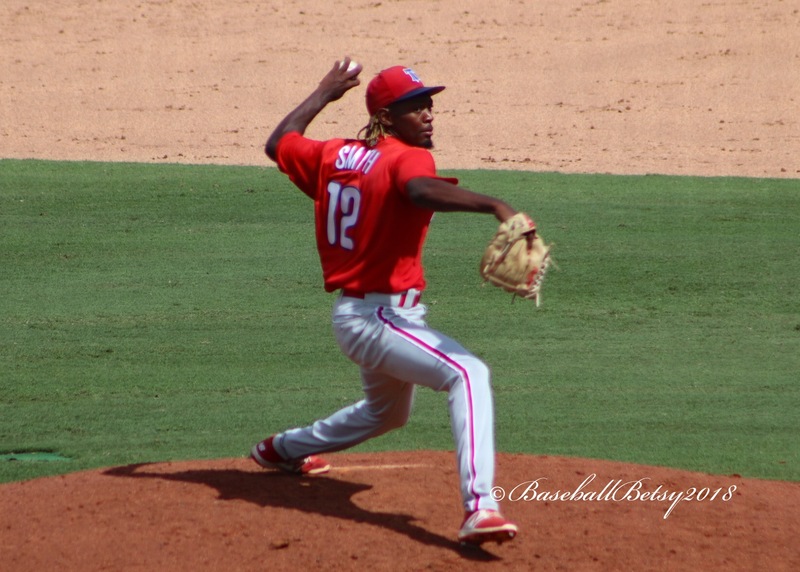 Alfonso Puello and Jake Kinney struck out two in two innings each, while lefty Jaylen Smith mowed down two Yankees on strikeouts in one inning of work. Watch HERE. 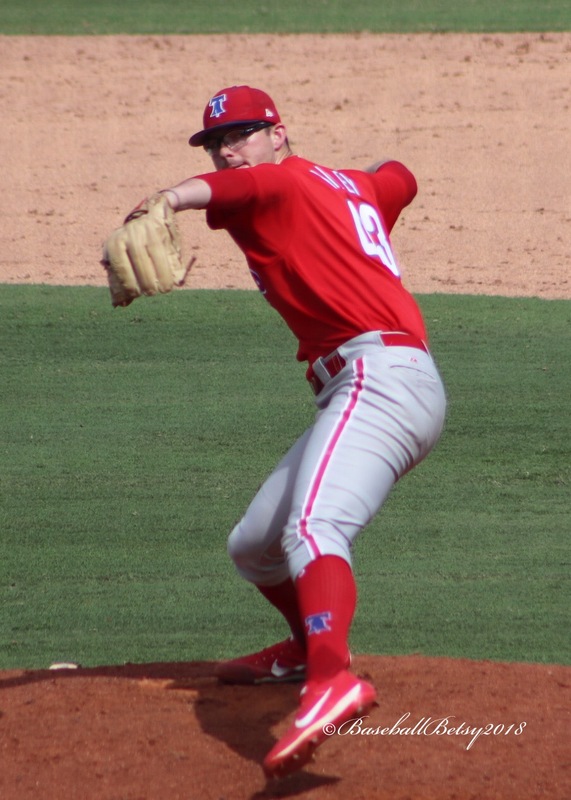 The Phillies Instructs wrap up the Florida Instructional League season and Florida baseball for another season on Friday morning with another game at Spectrum Field with the Yankees. 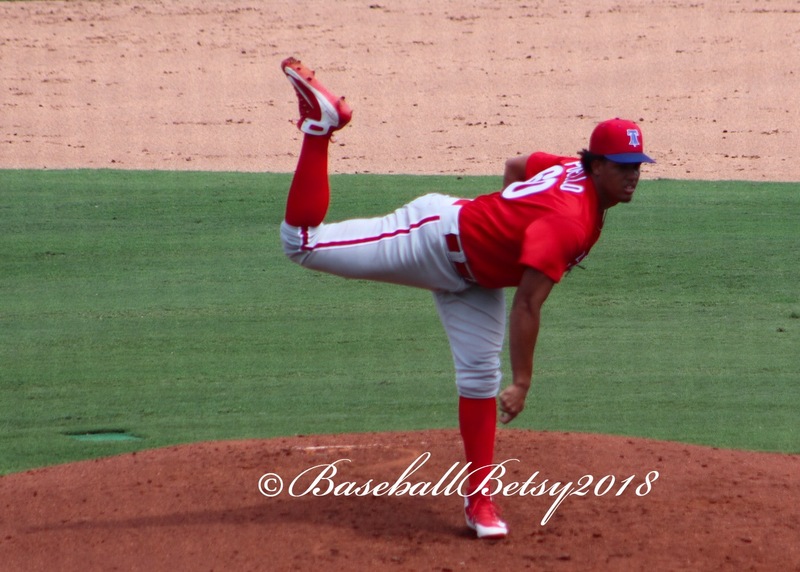 This entry was posted in 2018, October and tagged Alfonso Puello, Baseball Betsy, Fall Instructional League, Jake Kinney, Jaylen Smith, Luis Garcia, Luke Miller, Philadelphia Phillies. Bookmark the permalink.